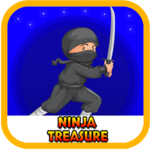 Ninja Treasure — Android App Sold on Flippa: ANDROID game with 1.15K downloads/mo. Plus 4 games bundle, great opportunity! ANDROID game with 1.15K downloads/mo. Plus 4 games bundle, great opportunity!